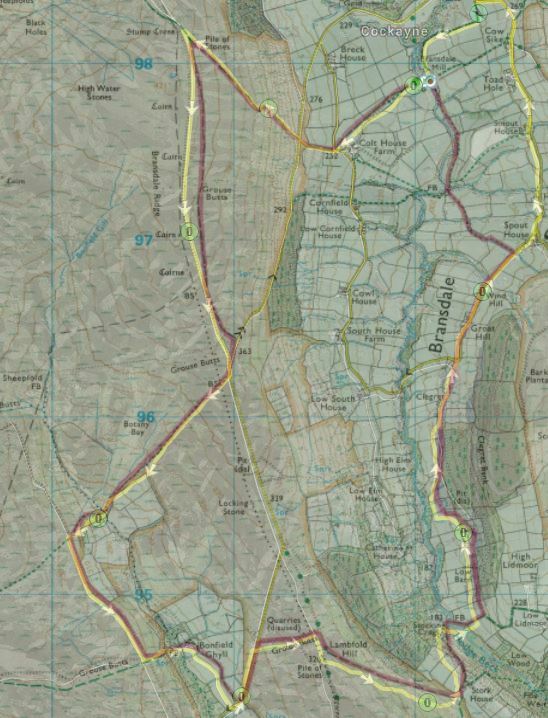 You are here: Home / News / Tom’s Bransdale Race – Club Run Report. 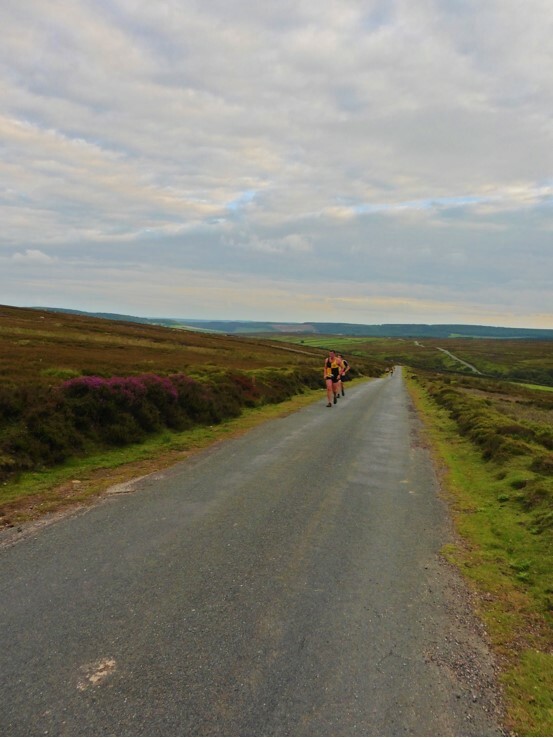 Tom’s Bransdale Race – Club Run Report. Great to see 20 members of YKH bolstering the numbers at this very special race. The race is organised by the National Trust , and is named after former National Trust employee and Knavesmire club member Tom Watson, who was instrumental in organising the first Bransdale race before he sadly passed away. The race has been well supported over the years by club members , but with it’s inclusion in the Club Championship we got a number of club members to try something different that maybe they would not normally consider. Those who did make the trip to the far reaches of Bransdale were rewarded with a fantastic 8 mile race, beautiful scenery and the friendly grassroots atmosphere so prevalent in the fell running community. At only £5 to enter, cake at the finish and the majority of runners managing to win a bottle of wine or beer it was also great value. Knavesmire’s Chris Roberts was on fine form , taking command of the race after the initial big climb was out of the way . Going on to victory and a new course record of 53:13. Sarah Atwood was first Lady to the finish (26th overall)with a time of 1:13:15. Sam Allin was third with a time of 56:32 , Barry Atkinson 5th (1:00:57) and first M55 to complete our winning Men’s team. Dave Bygrave stays dry for now . Special mention to Stephen Robson who after several failed attempts , finally made it to the start of a fell race, he now just has to perfect arriving at the finish line from the right direction. Red is the correct path, yellow is what Stephen somehow actually did (he still has no idea how). There are plenty more fell races still to go this year on the North Yorkshire Moors, including the fantastic Levisham Limping which we are organising on the 2nd October. They are a great stepping stone into this exhilarating and adventurous branch of running. Get the kit and give it a go!